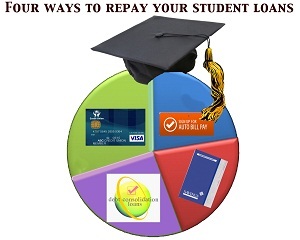 Four Ways To Repay Your Student Loans With Help From CORE Credit Union! Graduation day seemed like it would never come. As a freshman, you saw seniors swaggering about like they owned the place. Then, just a few short years later, there you are. You've crammed for your last final, written your last paper and said tearful goodbyes to your friends. For many graduating seniors, though, leaving college isn't "real" for quite some time. CORE Credit Union can help you pay back your loan in more ways than you might realize, and save you money in the process. Here are four convenient ways you can pay for your education and get greater flexibility. You might be able to get some extra rewards out of the deal, too! Your student work or part-time job might not make a dent in astronomical tuition costs, but it can still help you get out of debt faster. Setting up automatic savings account transfers will force you to put away a little bit each month. You can use that once you're out of school to make a big first payment. It'll really take the sting out of the debt load. One of the benefits of a student loan is the bump you get on your credit score by paying it regularly. Lenders see your management of student loan debt as evidence of responsible borrowing, making them more likely to trust you in the future. If you want to maximize the benefit to your credit score, you can use a credit card from CORE Credit Union to make your student loan payments. Still, if you're careful about it, you can build your credit score twice for the same loan. Both your student loan and your credit card will show as paid each month, which will make you look twice as responsible for paying one bill. You might even be able to earn a few rewards points as icing on the cake. This process can also include one-on-one time with a trained financial professional at CORE Credit Union. You can gain advice on budgeting and make a roadmap to a truly debt-free future. To see if consolidation is right for you, call, click, or stop by CORE Credit Union today!